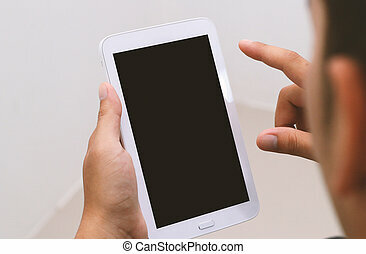 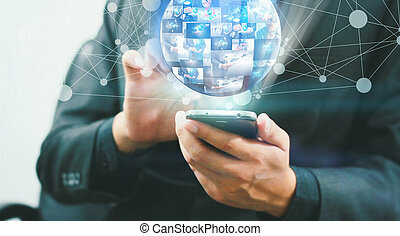 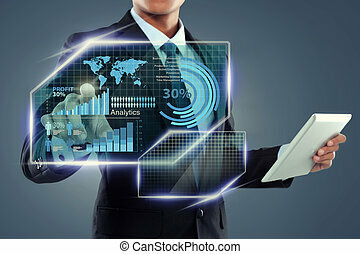 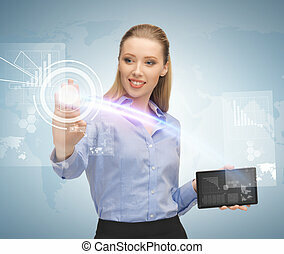 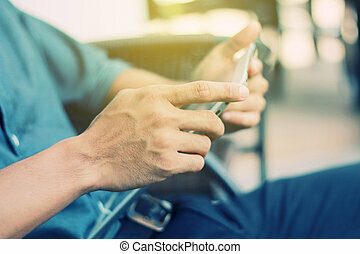 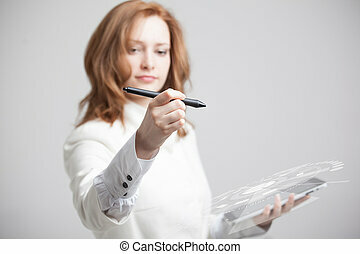 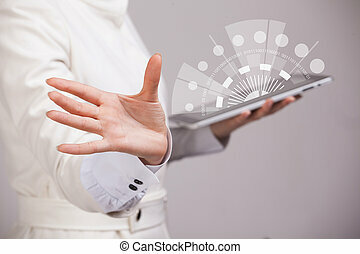 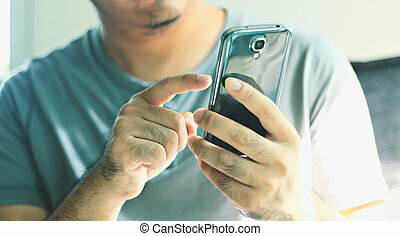 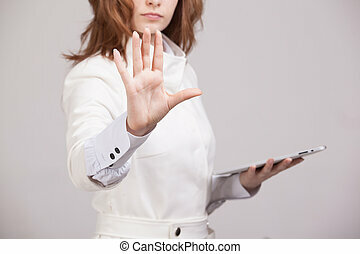 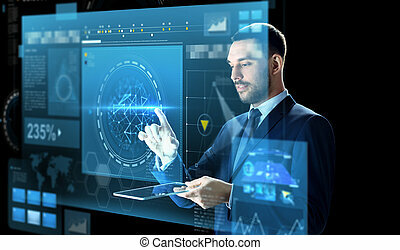 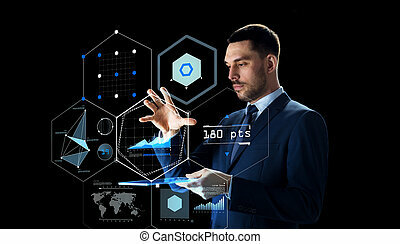 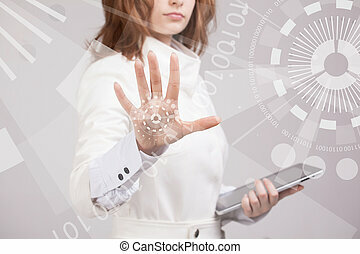 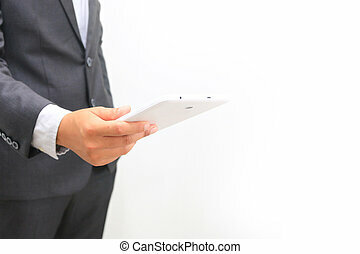 Businessman touching screen on digital tablet. 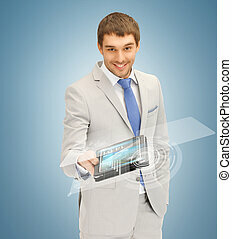 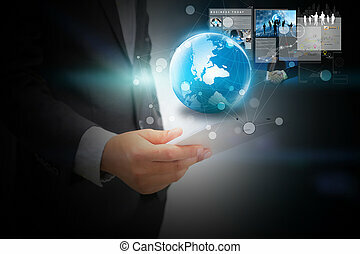 Businessman using digital tablet,hand touching screen on digital tablet with social icons. 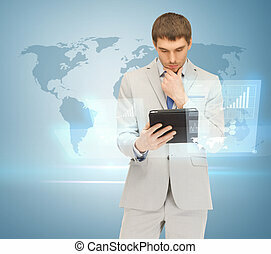 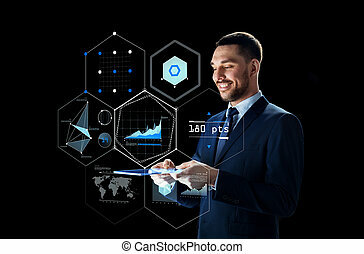 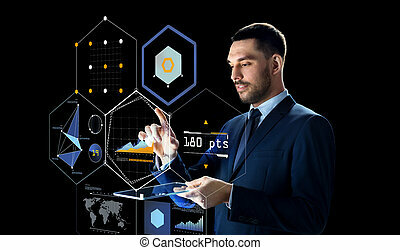 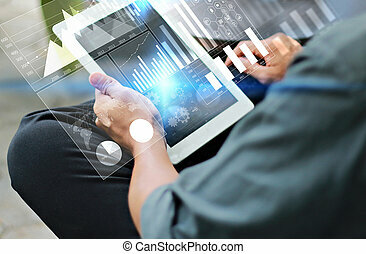 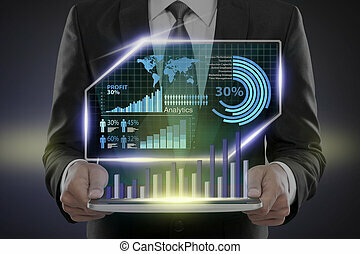 Businessman using digital tablet,hand touching screen on digital tablet and business graph interface on screen. 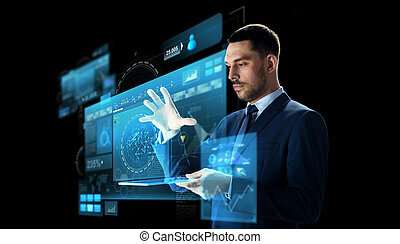 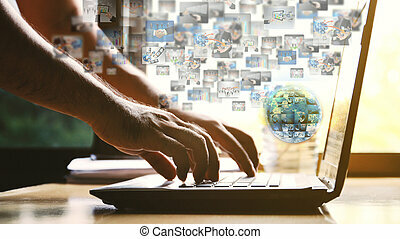 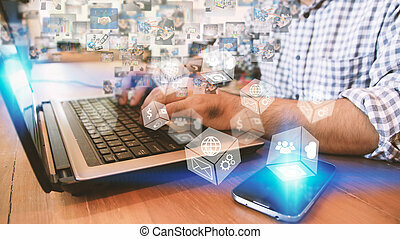 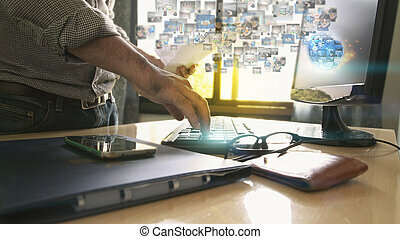 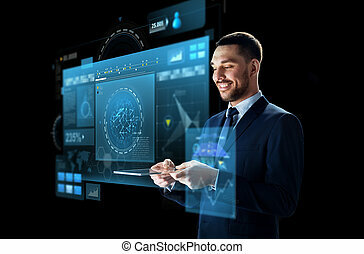 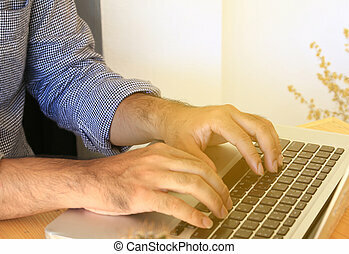 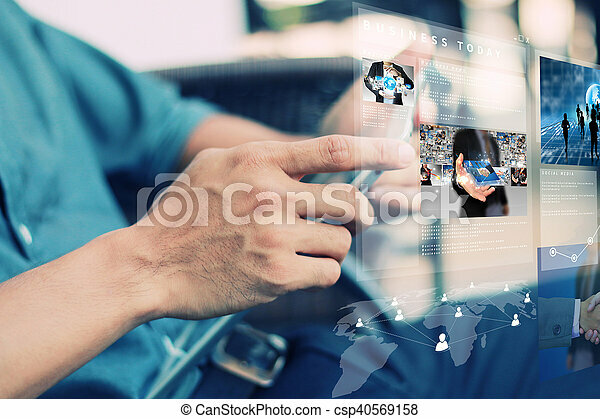 Businessman using laptop and virtual screen, Social media concept.